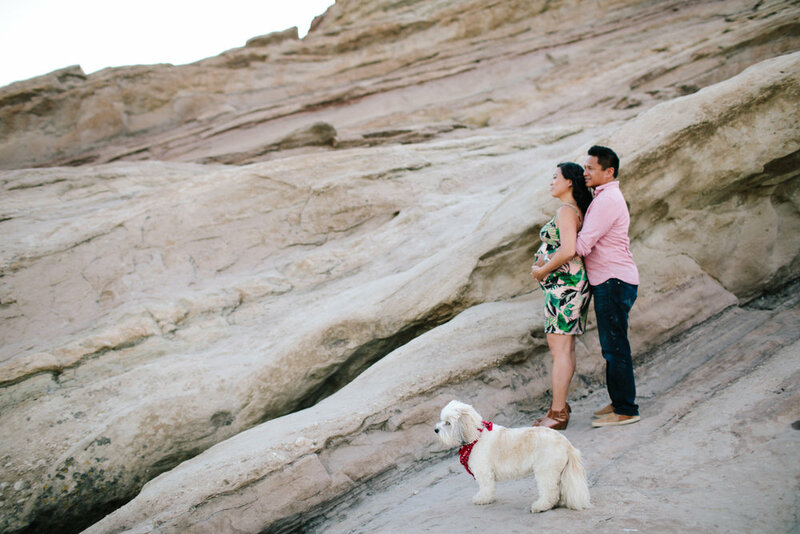 Vasquez Rocks made for a perfect backdrop for adventurous parents to be, Kristian and Manny. 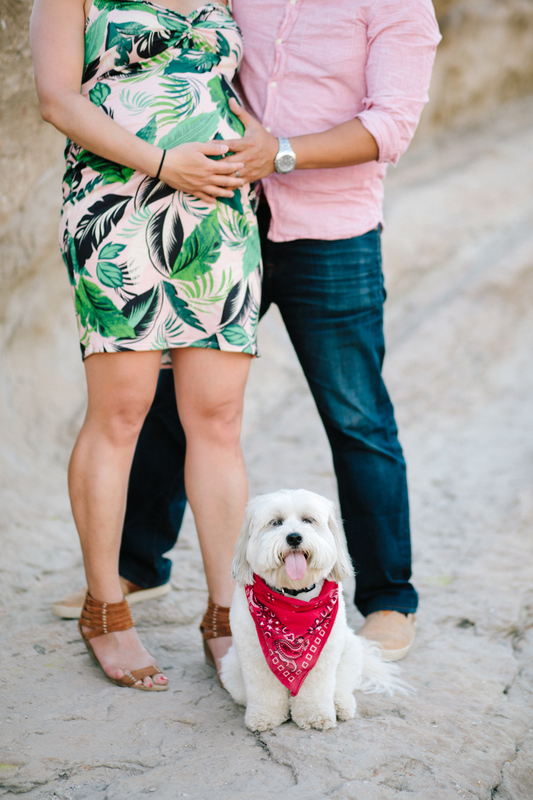 Alongside them their trusty fur baby, Frankie, explored this bucketlist location of mine. The day was super hot yet this badass mama climbed the rocks and stayed gorgeous and glowing all the while in heels. 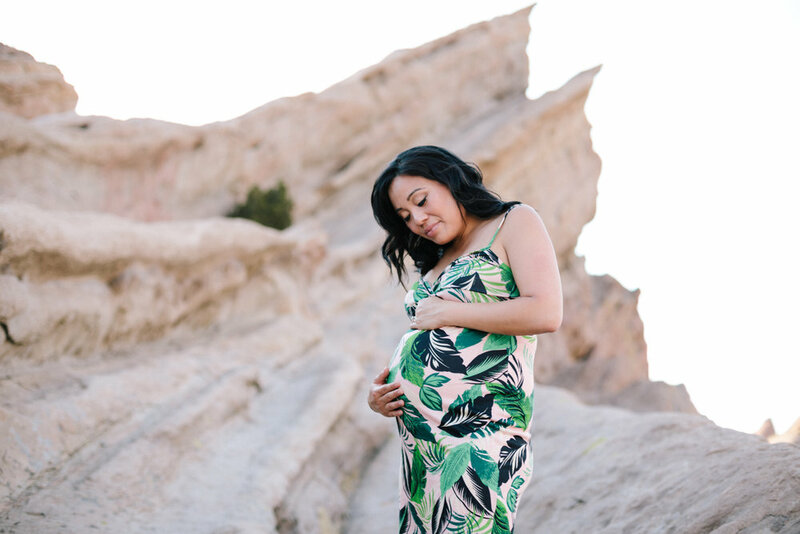 Also, how cute is her palm print maternity dress from ASOS? I wish I knew about this online shop when I was pregnant. Love it. Thank you again for being so amazing, adorable and loving together. 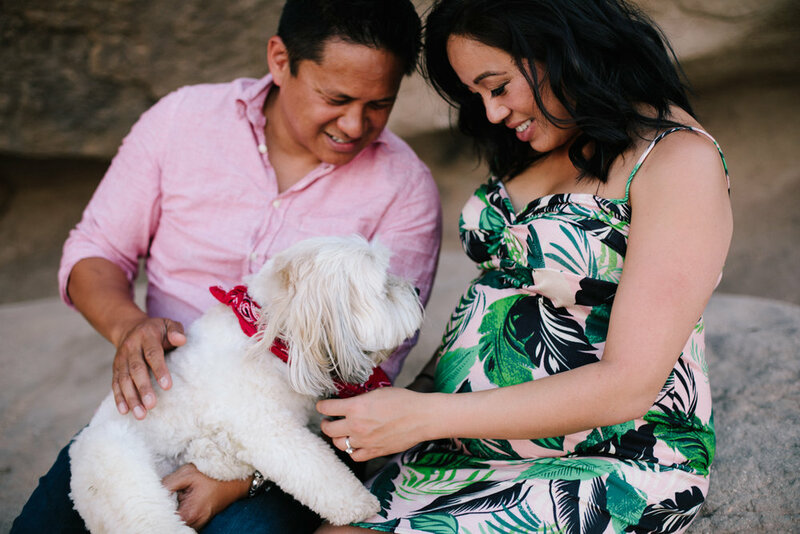 Congratulations to the newest addition to your family! Can't wait to meet the little babe.